On the occasion of the 30th of July - the day of the Medical Corps, the Chief of General Staff of the Serbian Armed Forces, General Ljubisa Dikovic, with the members of the Collegium, received today a delegation of this Corps. In the delegation of the Medical Corps that was led by Colonel Dr. Med. Ugljesa Jovicic, acting as Head of the Military Healthcare Department of the Ministry of Defence, was also the Acting Head of the MMA Colonel Prof. Dr. Miroslav Vukosavljevic, as well as representatives of the Military Medical Academy, the units from the Serbian Armed Forces and the Military Medical Facilities Belgrade. After the ceremony, the Chief of Staff visited the Operational Center of the Defence System, where he congratulated the holiday - the Medical Corps Day via video link to the Commander of the Military Hospital in the Central African Republic (MINUSCA), the Head of the medical service in the EU mission in Somalia (EUTM), to the Head of the Medical Air Evacuation Team in Congo (MONUSCO) and to the Head of the military medical team engaged in Mali (EUTM). 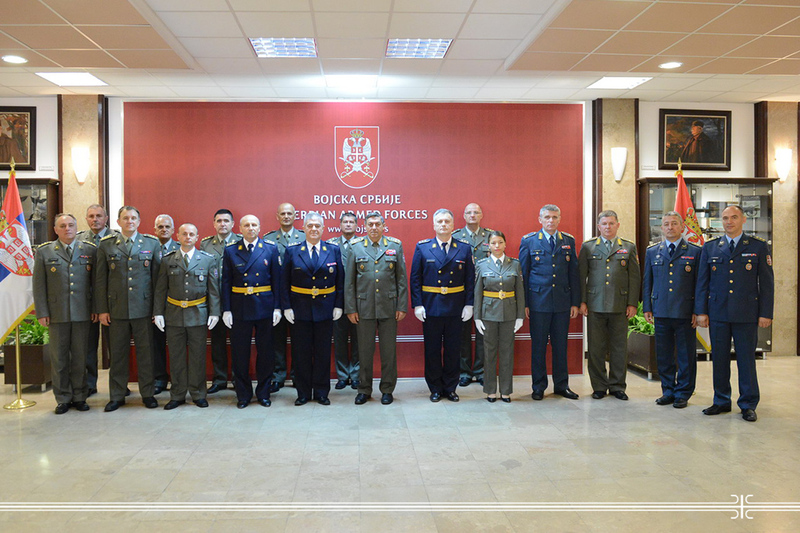 The Chief of the General Staff got assured that the members of the Serbian Armed Forces were good and carried out their regular tasks, and also sent congratulations on the occasion of the upcoming holiday to other military medical member staff of the Serbian Armed Forces engaged in multinational operations in the world. The tradition of the Medical Corps is related to 30 July 1839, when, on the basis of the Constitution of the Principality of Serbia and the Regulation on the Establishment of a Garrison of the Army, the first head doctor at the Main Military Headquarters - Dr. Emerich Lindenmayer was appointed.